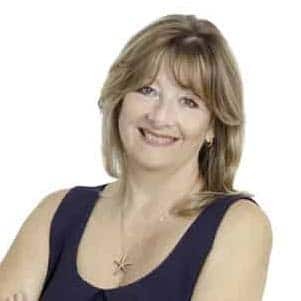 Carol Jennings has bought and sold properties for 20 years on three continents and strongly believes we all deserve to be treated intelligently and with care and respect. Vendors, often selling their most important asset, rely on the expertise of their agent to diligently and capably guide them through the entire process until both seller and buyer are happy with the end result. Carol is renowned among colleagues and clients alike for her integrity, professionalism, honesty and expertise. Born in and raised in West London and educated in Germany, Carol began to see the world at an early age. She moved to California in her twenties and spent the next 16 years in Los Angeles working as a Realtor and covering the exclusive neighbourhoods of Santa Monica, Beverly Hills and West Los Angeles. Carol met and married Dean and began to explore where in the world they wanted to bring up a family and deliberately and specifically chose the Central Coast. Embracing this extraordinary lifestyle for the next few years, they built quality custom homes in Terrigal and North Avoca and won the prestigious Housing Institute of Australia “Spec House of the Year” award. Carol is a multiple recipient of the prestigious R&H Chairmans Club Award and proud to be the recipient of Top Local Agent award from Rate my Agent, an award based solely on prior clients and their testimonials. If you are seeking a trusted top performing agent, who truly cares about your result, you can rely on Carol.